Bursa KLSE was more focused on financial stability rather than to address monetary policies. 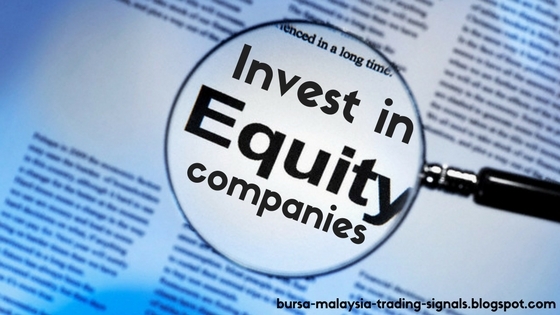 Malaysia: Bursa Malaysia kicked-off Monday on a bearish tone, extending last Friday's mood, and in tandem with regional equities market, dealer said. At 9.06 am, the FTSE Bursa Malaysia KLCI (FBM KLCI) was 2.48 points easier at 1,766.69 from last Friday's close of 1,769.17. The benchmark index opened 2.58 points lower at 1,766.59. However, sentiment on the broader market was positive as gainers outpaced losers 135 to 115 with 168 counters unchanged, 1,421 untraded and 62 others were suspended. The weak performance was partly due to the negative sentiment among investors in the aftermath of the tropical storm 'Harvey' towards the US economy. A dealer also said the fact that European Central Banks President Mario Draghi and US Federal Reserve Chair Janet Yellen failed to give any direction on monetary stimulus. The Fed was more focused on financial stability rather than to address monetary policies, he pointed out. Among heavyweights, Maybank reduced three sen to RM9.53, Tenaga erased two sen to RM14.28, but PBBank added four sen to RM20.62 and Sime increased six sen to RM9.19. Among actives, Palette and its warrant, were up half-a-sen to 15 sen and 12 sen, respectively, M3Tech slipped half-a-sen to 9.5 sen while Vizione and FrontKN were flat at 13 sen and 36 sen, respectively. The FBM Emas Index fell 13.35 points to 12,594.65 and the FBMT 100 Index eased 12.93 points to 12,253.26 and the FBM Emas Shariah Index lost 6.55 points to 12,790.96. The FBM Ace increased 43.60 points to 6,710.17 and the FBM 70 was 0.22 of-a-point higher at 15,086.85. Sector-wise, the Industrial Index went up 0.94 of-a-point to 3,218.70 while the Plantation Index erased 24.72 points to 7,836.32 and the Finance Index eased 28.56 points to 16,664.63.